You are here: Home / Blog / Blog / Success Newsletters / Are You A Pessimist, Optimist or Realist? Are You A Pessimist, Optimist or Realist? Apr 11, 2019 /in Success Newsletters /by Patrick Wanis Ph.D. In this week’s Success Newsletter, I would like to reveal the difference between an optimist, pessimist, realist and someone who is resourceful. 5 Reasons You’re Not Over Your Ex! Now, let’s talk about the difference between an optimist, pessimist, realist and someone who is resourceful. How do your friends perceive you – are you an optimist or a pessimist? According to poet and writer, William Arthur Ward, there is a third option – the realist. However, as I will point out, Ward was actually referring to resourcefulness as much as he was to realism. How do you respond to challenges, setbacks, breakups, obstacles and disappointments? How resourceful are you? Do you complain and do nothing as does the pessimist; do you dream, fantasize and still do nothing as does the optimist or; do you take action to create your life by utilizing all of your resources? The pessimist as the person who complains, blames, and justifies the decision to take no action because the circumstances aren’t right. The Optimist as the person who hopes and dreams while living in denial of the present situation. The Realist as the person who takes meaningful action. Why does the ‘realist’ or ‘resourceful person’ adjust the sails? Why doesn’t he just let the wind take him wherever it will? Why doesn’t he just go with the flow? The ‘realist’ has a goal; he has a destination and therefore he adjusts his sail based on the challenges and obstacles he faces but still with the goal or destination in mind! By adjusting the sails in response to the wind, the realist is actually being resourceful: he is using the very obstacle (the direction and strength of the wind) to his favor by adjusting his sails to still take him to his destination. With the self-same winds that blow. You are the captain of your ship and life, and at times you will face strong gales, you will be challenged, your ship might even be tossed onto the rocks, but how will you respond? Will you stop and complain; will you fantasize or; will you accept the reality of the situation and choose to be resourceful by taking conscious action to seek out a solution? When you choose to be a resourceful in the midst of difficulties and disappointments, you become the creator of your reality! If you would like to overcome the blocks to being resourceful (self-doubt, pessimism, denial or lack of belief in your own abilities), book a one-on-one session with me. 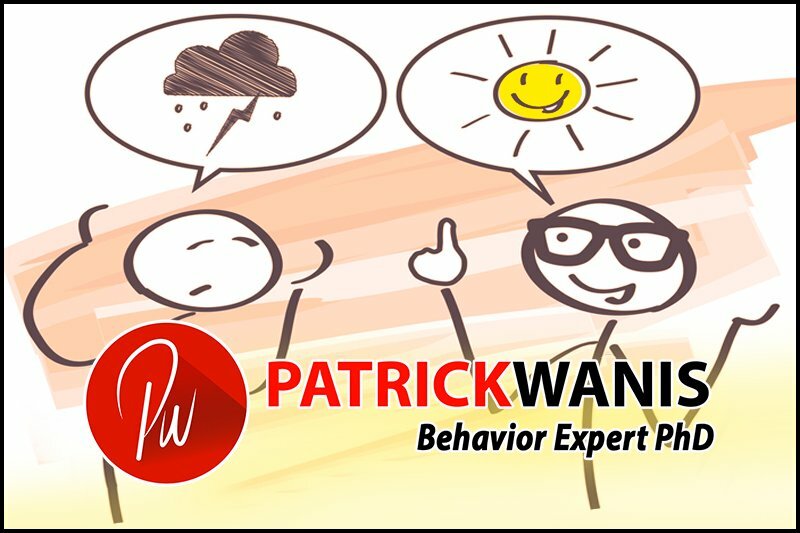 https://www.patrickwanis.com/wp-content/uploads/2019/04/Are-You-A-Pessimist-Optimist-or-Realist.jpg 533 800 Patrick Wanis Ph.D. https://www.patrickwanis.com/wp-content/uploads/2018/08/Patrick-Wanis-logo-behavior-web-logo-2018.png Patrick Wanis Ph.D.2019-04-11 15:48:442019-04-11 16:09:55Are You A Pessimist, Optimist or Realist?